To make Mainland parcels easier to purchase, we have implemented a new system that automatically takes recently abandoned Mainland parcels and makes them available for Mainland landowners and Premium account members to buy directly at discounted rates. By using the new system, you no longer have to go through Support, which was a longer and more involved process. Purchasing Mainland Parcels Directly is Easier Start by looking at the Mainland on the World Map, and enabling the check box “Land for Sale.” When you find a parcel that you might be interested in, check out the owner. If the parcel is owned by Governor Linden and marked, “Abandoned Land - For Sale,” then you can purchase it by clicking on the “Buy Land,” button. Today, we are pricing abandoned land at L$1 per square meter (pricing subject to change) and, of course, the regular monthly tiered land costs apply for ongoing maintenance. Over time, we may also make older abandoned land available for sale, using the same process. Our goal is to increase the Mainland occupancy for a more active and beautiful environment for all to enjoy. For more more detailed information, take a look at this wiki page. So, if you’ve ever been thinking about owning your very own piece of the Mainland, or expanding your current holdings, then now is a great time to take a look and snap up some great properties. As I mentioned last week, today the Second Life Forums, Blogs, Knowledge Base and SL Answers are now temporarily in read-only mode. This means that everything housed within the http://blogs.secondlife.com site is available for you to read, but you cannot post comments--or contribute content--until we launch our new community platform (http://community.secondlife.com) on March 2nd. Get ready for a more robust self-help platform with powerful capabilities, including unified search, reputation systems, new community tools, and social media features. And, please pardon our dust while we transition over to the new system. To be informed immediately when the new community platform is live, follow us at @Second Life on Twitter where we’ll be officially announcing the launch. I wanted to give you an update on several important new Customer and Community Support initiatives currently underway. We have recently added significant resources--of both people and technology--to improve your experience with both Customer Support and community interaction and communication. On the Customer Support front, we have increased coverage to eliminate our backlog within the next 3 weeks and have already resolved 70% of the outstanding tickets. We are also continuing to work on changes to our Support processes and policies to improve communication about cases and speed up resolution time. Additionally, we are actively investing in technologies that help you to quickly solve problems, find answers, share insights, and get help from the community. Powerful New Community Platform To Launch Soon On March 2nd, we will launch a new, and much improved, self-help community platform--comprised of Forums, Blogs, Answers, and our Knowledge Base. This new fully integrated platform helps you to more efficiently leverage the power and knowledge of the community. Among many architectural and usability improvements, the system also includes: Robust Self-Help Functionality: It will be easier and faster to find the answer to your question or the information that you’re looking for. For example, in Answers, when you begin to type a keyword, an intuitive category search will return common matching solution results. And, solutions accepted by the question author are automatically nominated for Linden editorial review and possible inclusion in the Knowledge Base. Unified Search: You can find the information that you’re looking for in one federated search field that returns organized results from relevant content in the Forums, Blogs, Answers, and the Knowledge Base. Single Sign On: Just as you can in the current system today, you will use your current Second Life username and password to log in to the new platform. Contribution-Based Roles: Based on your contributions to the platform, you will be able to earn new capabilities and roles in the community--from a brand new Resident to seasoned and experienced Helper. Easier for Experienced Residents to Share Their Wisdom: If you’re an avid Second Life Resident who wants to participate in the community, then it will be much easier for you to update existing articles; comment on published articles; and nominate, review, and include subject matter for the Knowledge Base. Industry-Standard Social Media Features: As you can in many other community platforms, with the click of the mouse, it will be easy to Twitter, Facebook, Digg, etc., interesting content that you want to share with your friends in the Social Web. The Resident testers who were given a sneak peek into the system gave us great feedback and insightful reviews. Big thanks to everyone who participated! Forums, Blogs, and Answers will be in Read-Only Mode Starting February 21st We’re in the final roll out stages and wanted to give you notice on what to expect. At 12:01am PDT on February 21st, the Forums, Blogs, and Answers will switch to read-only mode until March 2nd, when we launch the new system. This means that everything housed within the http://blogs.secondlife.com site will still be available for you to read, but you cannot post comments--or contribute content--until March 2nd. Why go dark for over a week? Good question. We need the time to make sure that the data set, housed within our current system, is safely ported into the new platform and that everything is fully operational and ready to go for you on launch day. Looking forward to sharing more on launch day and to your contributions to the new platform. As we mentioned in our last blog post, the Customer Support team continues to drive a series of changes to the way in which Linden Lab delivers support to our Resident community. We are examining our support offering from top to bottom, using the data from our new support system, your survey data, blog feedback, and industry standard practices to help shape our approach. Some of our changes will be apparent to you, like the look and feel of the new case and live chat systems and our coming self-service tools. Others will be structural and won't be immediately apparent, like our internal support tools, but their benefits will reveal themselves over time as they enable us to address your issues more quickly. As we approach these changes, we have a number of high-level goals in mind: Leverage industry best practices, and our own hard-earned lessons, to create a comprehensive customer service offering. Respond to high-urgency, business-critical requests more quickly. Better address product and service issues before they become a support interaction. Provide all Residents with better self-service tools to help solve issues immediately. Changes to Support for Basic Residents As part of these changes, we are examining the types of support we offer Residents of all levels, in an effort to provide better, more responsive service to the most business-critical issues. Starting on Wednesday, October 13th, we will simplify and reduce the types of cases that Basic Residents can file and direct them to our self-service tools on your account page, or search the Knowledge Base or Second Life Answers for solutions. As a Basic Resident, you can still file cases about most account issues, billing issues, marketplace issues, and some technical issues. Improving Support for Premium and Concierge Residents As we increasingly direct Basic Residents to self-service tools, we are exploring ways that we can better service and support our Premium and Concierge Residents. 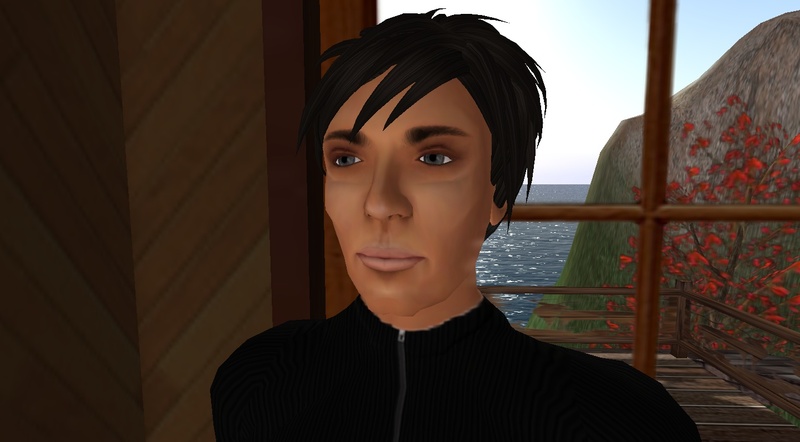 These Residents –who are often landowners, merchants, and inworld business owners– will continue to be able to file the full range of cases, have access support via live chat, and in the case of Concierge Residents, have access to phone support. As we begin to see the impact of the changes we have underway, we expect our response times across all of these channels to improve. This announcement is one of many to come soon as we work hard to provide faster, more effective customer service. We look forward to hearing your feedback as these changes roll out.